Page Extensions is a really nice feature of Sitemagic CMS. It allows us to easily add complex and rich content to our pages such as Social Media Plugins, Google Maps, Videos, E-mail contact forms, and much more. 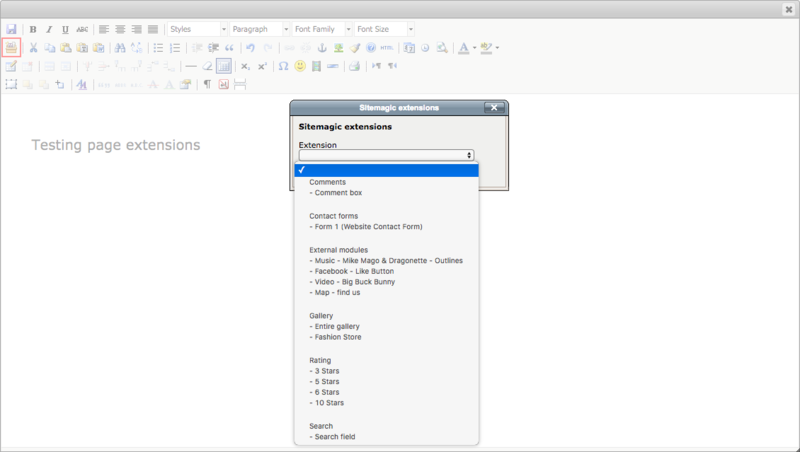 The Page Extensions that are included with Sitemagic CMS are explained in the Extensions section in the menu. So on this page we will just be covering how to add them to our pages. Assuming you have read the introduction to pages, open a page for editing. 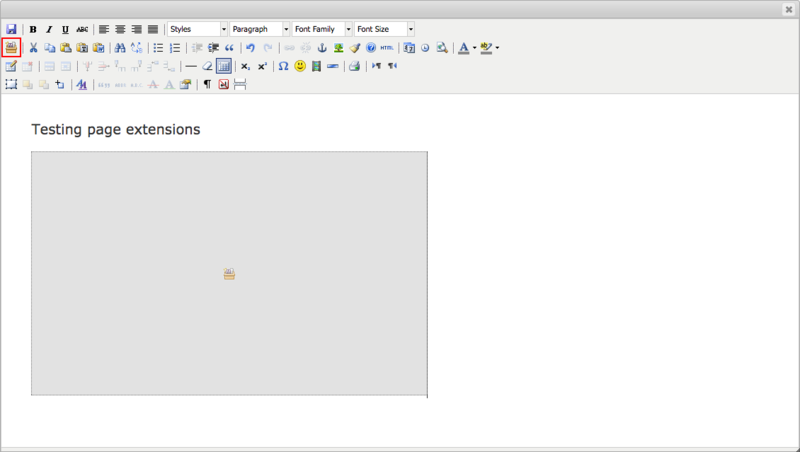 Now place the text cursor somewhere in the document, and click the Page Extensions button in the toolbar, which is highlighted (but dimmed) in the image below. This will open the dialog which is also shown in the image. Selecting a Page Extension will result in a placeholder being added to the page, which represents the content. Page Extensions are not shown while editing the page, but if you visit the page in the browser, it will immediately spring to life, as shown on the image further down. This is what it looks like when a YouTube video is added as a Page Extension. As mentioned, there's a lot of great content that can be added using Extensions and Page Extensions. Browse the Extensions section for more information.